There are almost 3.5 billion internet users and out of these, 2.34 billion users are active on various social media platforms, like Facebook, Twitter, Linkedin, etc. These platforms are the best not only to market your product/service but to stay connected with your clients and other users as well. It can be much cheaper than traditional advertising and promotional activities with a guaranteed better result. Through day to day active involvements, you can also collect relevant user data and use those figures to make a good business decision. Facebook and Twitter are the two giants of Social Media Networking. In terms of the number of active users, there is virtually no possibility of any other social networking site even nearing facebook. But that doesn’t degrade the importance of Twitter or other platforms. Twitter, at present, has millions of potential users around the world. It is a widely used platform by both small businesses & giant corporations as well as by individual users. For instance, 49% of total monthly Twitter users follow brands or companies, compared to the average of 16% on other networks. Twitter is the only platform, where you can directly connect to the government, celebrities, quote a question, record a query and actually hope to receive a reply. That is what Twitter is! 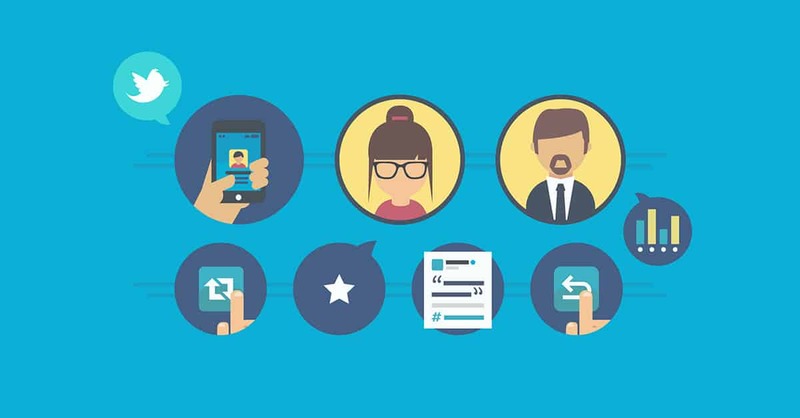 In order to gain potential followers and build fan loyalty on twitter, the first step is to set up a Twitter Profile. A profile that attracts users and clients in the first look. 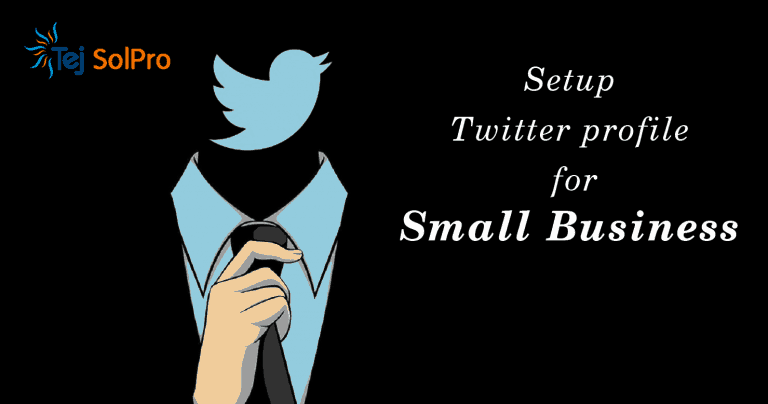 Here is a list of some practically simple Twitter tips for business owners who are either new to the platform or are looking for some easy ways to improve their profiles. Let’s get right to the tips! Put your Company or Brand logo as a profile photo. A personal picture or a stock image would be a repel. Keep your brand name as your user handle and username as the name of your business. Create a brand identity, let people know you by your brand, not the other way. Add location correctly in your bio just as you can see Tej solPro has set Ahmedabad, GJ, India as its location in the screenshot above. You always want your social media to refer back to your website and make sure it’s easy for our social media users to find it. So make sure you put your website right on your Twitter Profile bio. Include your major keywords in your profile description. Keywords play a critical part in the company’s brand positioning and turning traffic to leads. Include hashtags, if any. This will help in better search results. Add an appealing header photo. It is one of the prime things while setting up your profile. A header photo can be the taglines of your brand/company or core product images which are easily recognized by the user. Core products or services derive brand values. Image size of the header picture is 1500×500 pixels. On mobile, it’ll be cropped to a 2:1 aspect ratio. Once you are done setting the profile right, you make it easier for your audience to find you and connect with your brand instantly. By connecting with your customers here, you are more likely to increase brand loyalty. A study by “The social habit” unveils that 53 percent of Americans who follow brands on social are more loyal to those brands. The most important thing you can do is get started. Keep Tweeting, be responsive and see how people love you and your brand! Have any questions about Twitter? Can you recommend any other tricks or tips for beginners? Leave your comments here.